As the saying goes, “time is a precious commodity, don’t waste it!” Businesses allocate a huge amount of marketing spend to drive inbound sales. But, what happens if you don’t have the right strategies in place to keep customers engaged while they have to wait for you to serve them? Quite often it means the prospect becoming impatient and going to a competitor. This means a lost customer, a lost sale, and wasted marketing spend. Ouch! 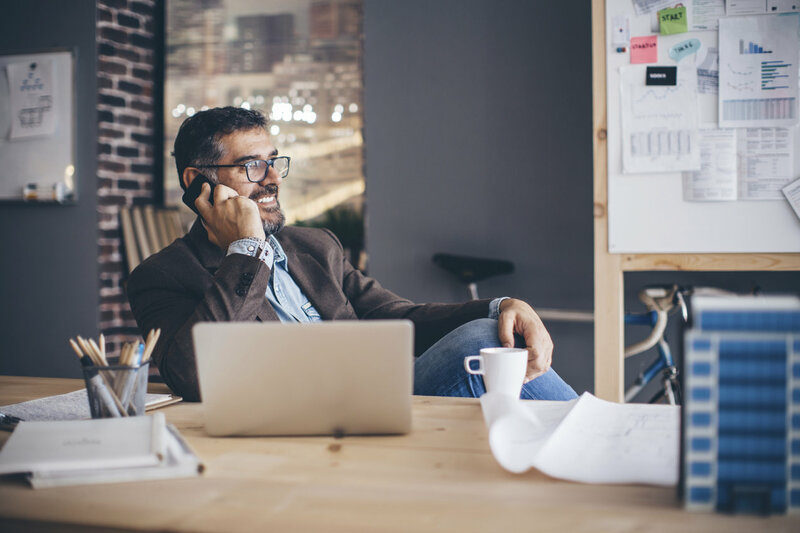 If you think of on hold time for your business in terms of opportunity, the “telephone customer experience” is an important part of day-to-day business for almost every business, in every industry. Let’s face it, putting callers on hold is inevitable. A recent survey showed that more than 70 percent of callers are put on hold. So if you cannot eliminate making callers wait, the question becomes how can you add value to their wait time. The answer is offering strategic custom on-hold messages. Add Value To Wait Time and Watch Sales Increase. Callers are a captive audience, as long as they stay on hold. It can be very tempting to fire a barrage of advertising messages at them. But too much can cause callers to tune out. We’re talking about adding value, so include value statements that educate and inform you callers. On-hold time is something the vast majority of businesses take for granted! In a survey conducted by Stan Rapp and Tom Collins of Maximarketing, “88% of business callers preferred on-hold messaging to other options”, and “20% make a purchase based on an offer communicated by the on-hold marketing message”. These statistics are far too important to your company’s sales to ignore. Decrease Caller Abandonment and Wasted Opportunities. Did you know 1 in 5 calls to your business are abandoned? People don’t like spending lots of time on hold and it is thought that callers begin to get frustrated after 20 seconds of waiting for a call to be picked up. In fact, studies show that the average caller will hang-up in less than 42-seconds when waiting on hold in dead silence. When callers are forced to wait in silence, there’s a good chance that they become frustrated quickly, and would give up wondering if they had been forgotten about! Long waits, automated menus, voicemail, never connecting to the right person are all things that frustrate and wind the customer up, and these are also the factors in how someone’s experience and/or opinion is formed when calling a company. When you consider just how much each customer is worth to your business, don’t make callers frustrated or feel forgotten. Instead, on hold marketing will keep callers engaged, and has proven to keep callers on the line for up to 3 minutes or longer when waiting on hold. Bad On Hold Experiences are Bad for Business. This is obvious but it never hurts to get a friendly reminder: treat the customer experience very seriously. Someone who’s had a bad interaction with your company is likely to spread the word and discontinue using your products or services. Given the power of word-of-mouth reviews and recommendations, getting your customer service right and enhancing customer experience is vital. If you’re great at ensuring that everyone who calls your company are served in a good manner and always get through to the right person, your word-of-mouth review is likely to be much better than that of a company who provides a poor telephone customer experience. Contact Original On Hold today if you’re looking for ways to enhance the customer experience, and increase sales and customer loyalty, because you need to look no further than your telephone’s hold button.Business is moving faster than ever. Customers aren’t just comparing you to your competitors anymore. They are comparing you to the best service they have ever received – from any company they do business with. And the original support channel still has a significant impact on the customer service experience: After a negative phone experience, 74% of consumers are more inclined to switch to a competitor. Are you ready to take a serious look at on hold marketing time for your business? or test drive an on hold marketing program for your brand with our risk free custom on hold demo.